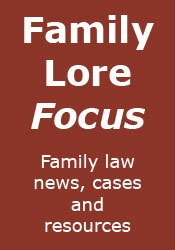 Family Lore: The dismantling of the family justice system? "the times they are a changing"
Divorce - The government is proposing that legal aid should no longer be available for divorce proceedings, which may obviously lead to some people simply not be able to afford to get divorced. As for the divorce process itself, Andrew Woolley has hinted that the government is considering not just no fault divorce, but "no court divorce", whereby the 'issuing party' simply registers for a divorce, and it comes through automatically a little later. Private children law - Again, it is proposed that legal aid be abolished, save where there is domestic violence. Instead, there is to be a greater emphasis on mediation. The idea of a presumption of shared residence seems to be gaining ground, something that was discussed by Sir Nicholas Wall in his speech to shared parenting charity Families Need Fathers, in September. There have also been loud calls from some quarters for Cafcass to be abolished, although quite what will replace it, I'm not sure. 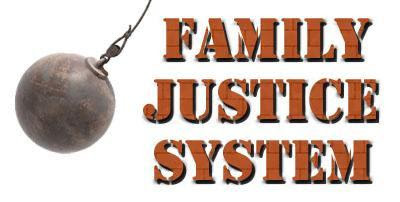 The Family Justice Review is looking at the possibility of introducing more inquisitorial elements into the family justice system for both public and private law cases. Ancillary relief - Once again, it is proposed that legal aid be abolished, save where there is domestic violence, with a greater emphasis on mediation. Pre-nuptial agreements may be made binding (although whether this is still required post-Radmacher is a moot point). There are also calls for the introduction of a community property regime, something mentioned by Sir Nicholas Mostyn at the first meeting of the All Party Parliamentary Group on Family Law. Public law - As mentioned above, may include more 'inquisitorial elements'. Otherwise, we will have to wait until next year for the recommendations of the Munro review. Legal aid will be retained. The government has also recently indicated that the current high fees will be retained. Domestic violence - Will keep legal aid, but otherwise no change? Cohabitee disputes - Another area where there has been no mention of change (previous proposals seem to have been shelved indefinitely), which is slightly ironic given that many believe that there should be change. Child support - The Child Maintenance and Enforcement Commission will become an executive agency of the Department for Work and Pensions. This of course just means that the same job will be done, but within the Department. Whether there will be any further changes, we shall have to wait and see. I'm sure that there are things that I have missed - an indication of the amount of change in the pipeline - but hopefully the above gives a flavour of what may be to come. How many of these proposals will be implemented is not of course yet clear, but one thing certainly seems to be: the family justice system will never be the same again. John, Thanks for this succinct round-up. There probably are things you've missed but frankly I can't remember them either. What's clear is that the government seems likely to want to introduce change and, even without any new co-hab law, the changes could be root & branch. Divorce: not a legal process but an administrative one? This is the proposal that could have the most far reaching effect on family lawyers. If clients won't need lawyers to get divorced, lawyers will need to be prepared to fundamentally change their business models and marketing strategies. I thought that CMEC was to be scrapped and the CSA kept on indefinitely? would appreciate response on this query please as I am a paying nrp through CSA and am wondering if CMEC will come in and change the system, and formula again? Please. I can't give advice, but my understanding is that the change to CMEC will not affect users of the system. Whether there will be any other changes, I don't know.